We currently have images of the following 148 species. An asterisk (*) before the species name means that a video is also available. We currently have videos of 41 species of mammal. A screen giving you an option to download the video will pop up. Users of Mozilla Firefox may have some problems, the option works best with Internet Explorer. 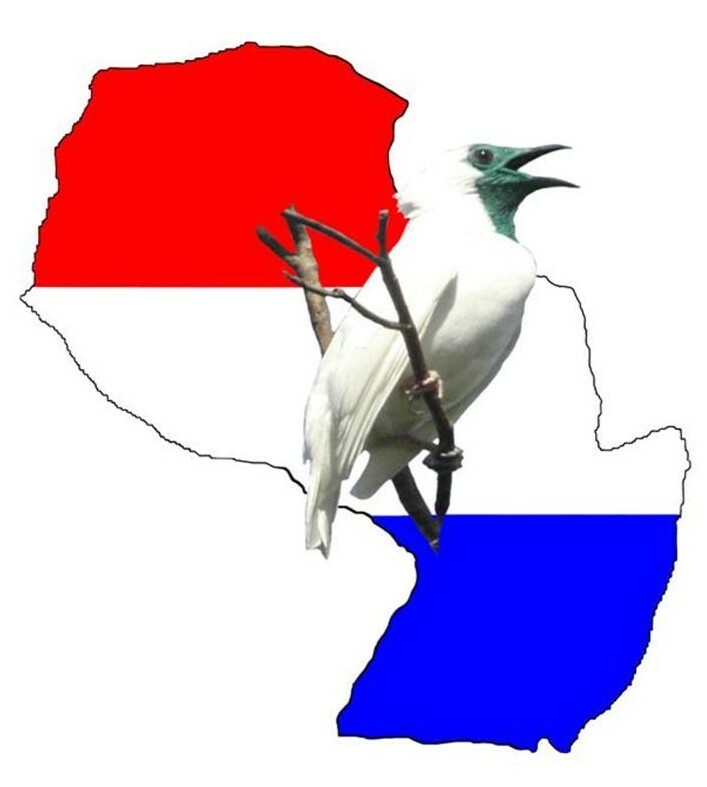 The symbol (§) before a species name means that a recording of the vocalisation of the species is included in the image gallery. Click on the link to download the call. We currently have call recordings of 4 species. Call recordings of species not yet represented in the image gallery can be found on the bird calls page. 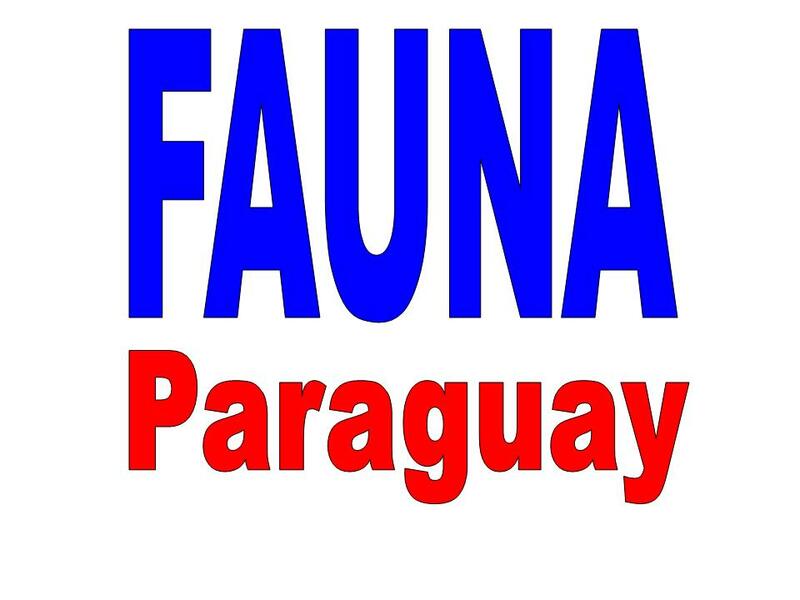 Click on the links on the right hand side for access to pdfs of the species accounts in the FAUNA Paraguay Handbook of the Mammals of Paraguay. 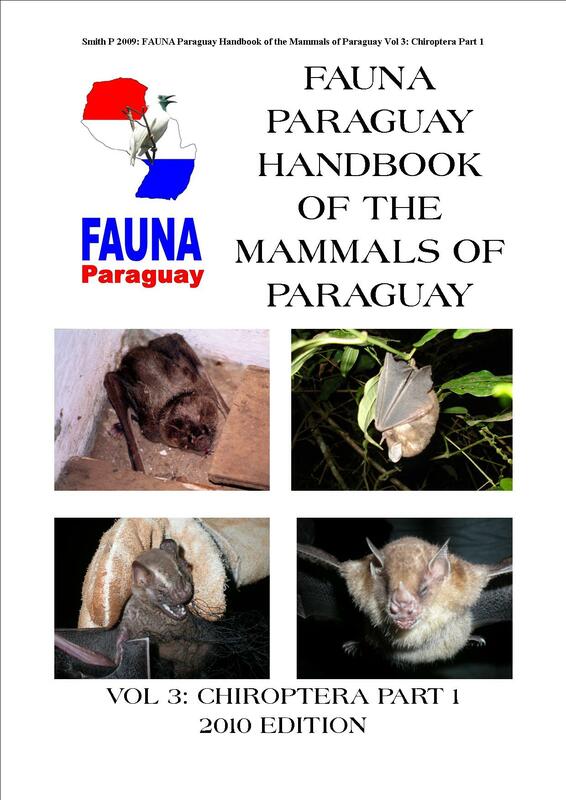 For information on how to use the Mammal Handbook accounts click here. Thanks to Robert Owen and his team for their assistance with mammal taxonomy and identification. Photographs on this web-site are used with the permission of the photographers. 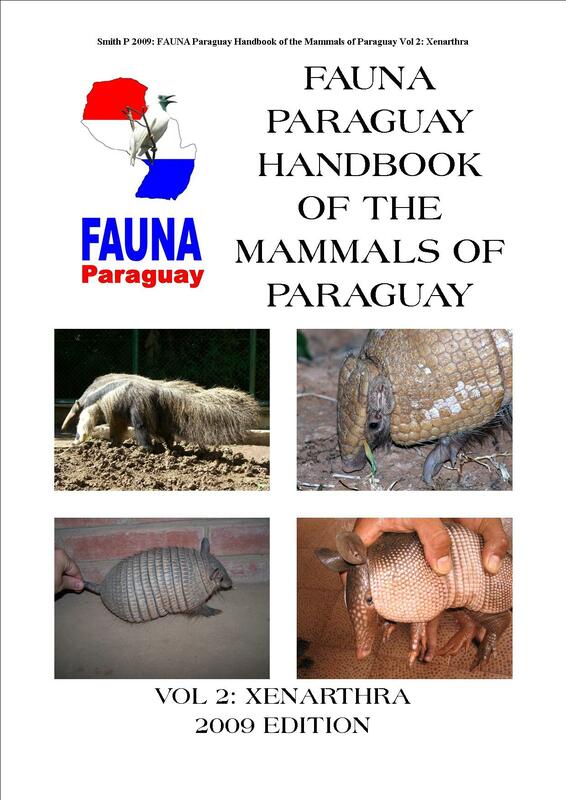 CLICK THE HANDBOOK LINK ABOVE TO DOWNLOAD PDFS OF THE SPECIES ACCOUNTS FOR THE FAUNA PARAGUAY HANDBOOK OF PARAGUAYAN MAMMALS VOLUME 2: XENARTHRA. 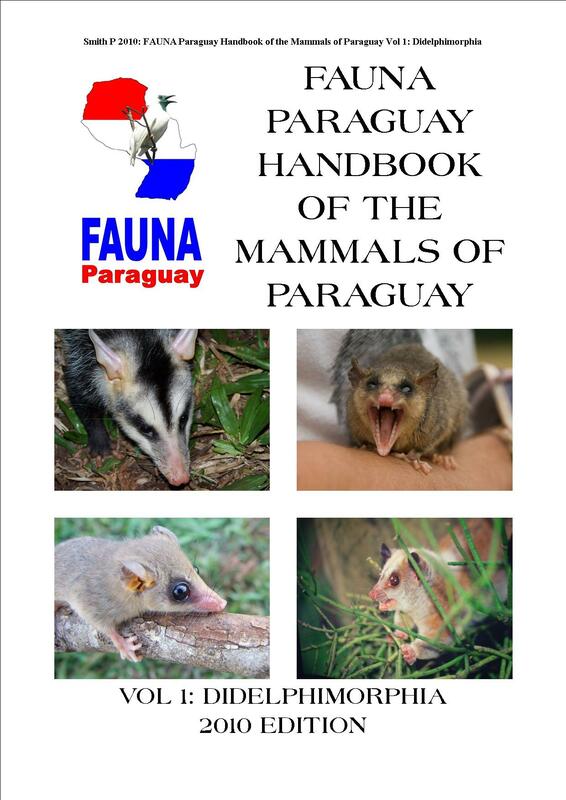 CLICK THE HANDBOOK LINK ABOVE TO DOWNLOAD PDFS OF THE SPECIES ACCOUNTS FOR THE FAUNA PARAGUAY HANDBOOK OF PARAGUAYAN MAMMALS VOLUME 1: DIDELPHIMORPHIA.